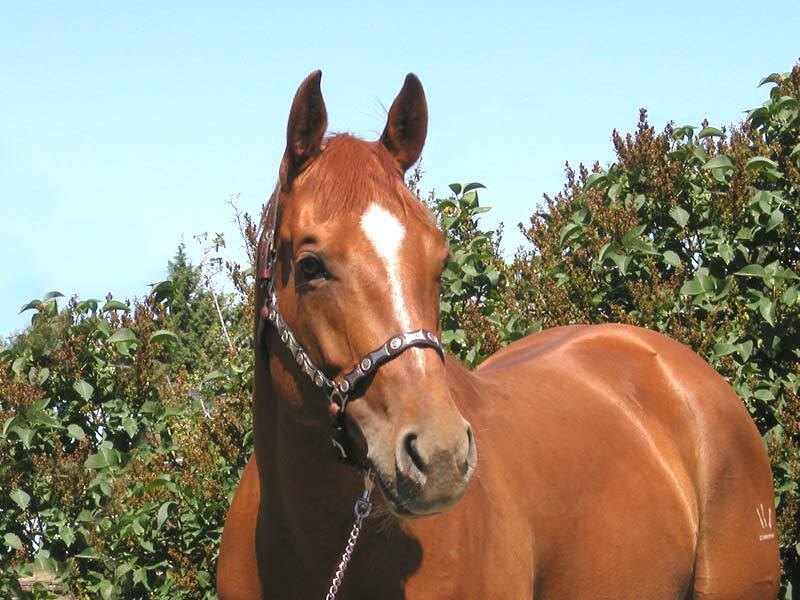 Sumbunnysperky 2003 Sorrel mare 15.2, 1,100 lbs. This is 'Perky'. 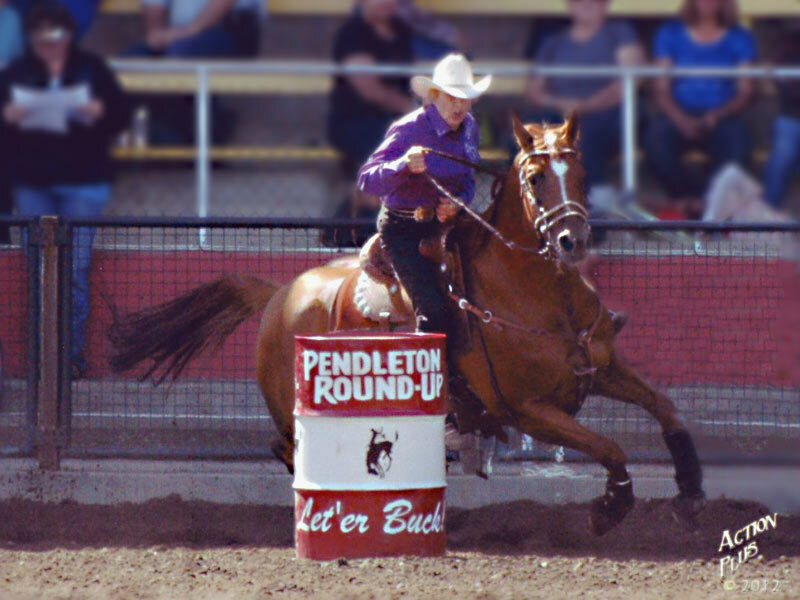 Tobi Richardson rode Perky to a 2nd place finish in the Pendleton Roundup 'Green Mile' in September, 2015. 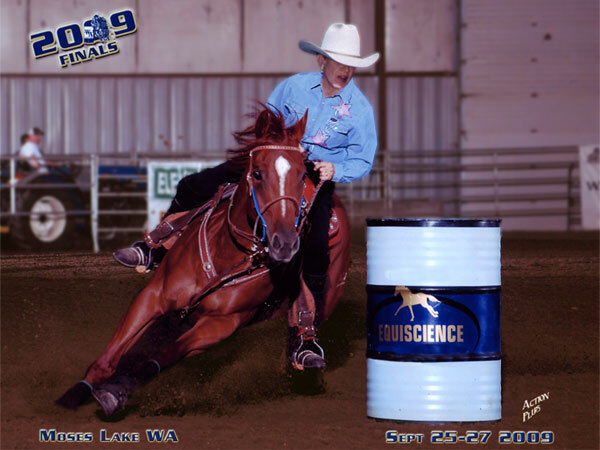 They also placed in slot races at Pasco Washington and Kalispel, Montana. 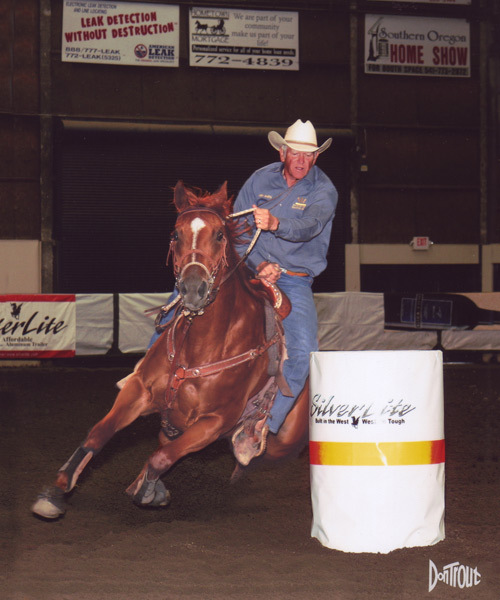 Ken Smith and Perky won the average and the Championship at the 2008 WBRA Speedhorse Pole Bending Futurity at Moses Lake, Washington. Then in June at the AQHA show in Central Point, Oregon, she won the Junior Horse (5 and under) three-run series for the Circuit Championship, and she won the Pole Bending Futurity. 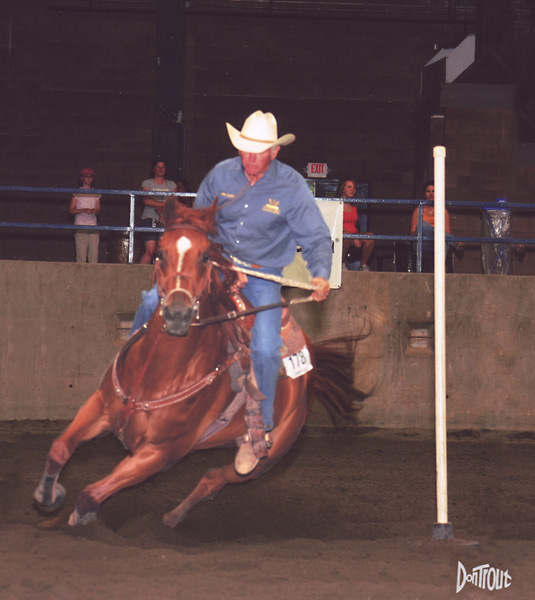 At Gillette, Wyoming in September 2008, Perky won the 1st go of the pole futurity, and her first and only downed poles of the year kept her from winning the average. Perky is becoming a great pole bending horse. 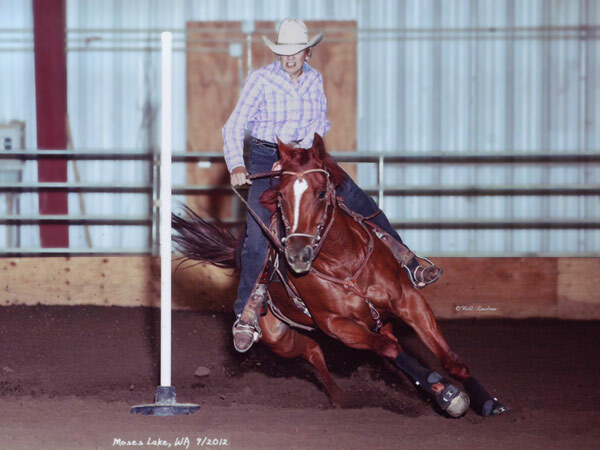 In 2009, she earned her AQHA Register of Merit (ROM) in pole bending with limited AQHA showing. She has been trained using the methods we teach at our pole bending clinics. Perky was sired by Dash For Perks, an own son of Dash for Cash, and out of an own daughter of Easy Jet. 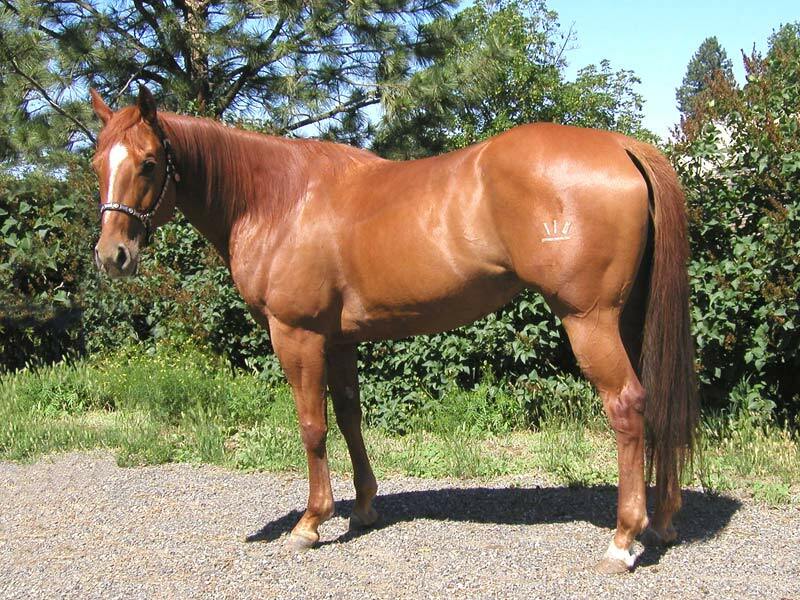 Dash for Perks has been a leading sire of money winning barrel horses for many years. Her dam, Backfire Bunny, was ridden by Texan Mary Roberts to wins totaling approximately $12,000 in less than one year. Mary reports that she won second at the Mesquite and Humble, Texas WPRA rodeos and won the rest at CTBRA, TSBRA and open 4D barrel races. Then a fractured sesmoid prematurely ended her performance career. She was light mouthed and really eager to please. 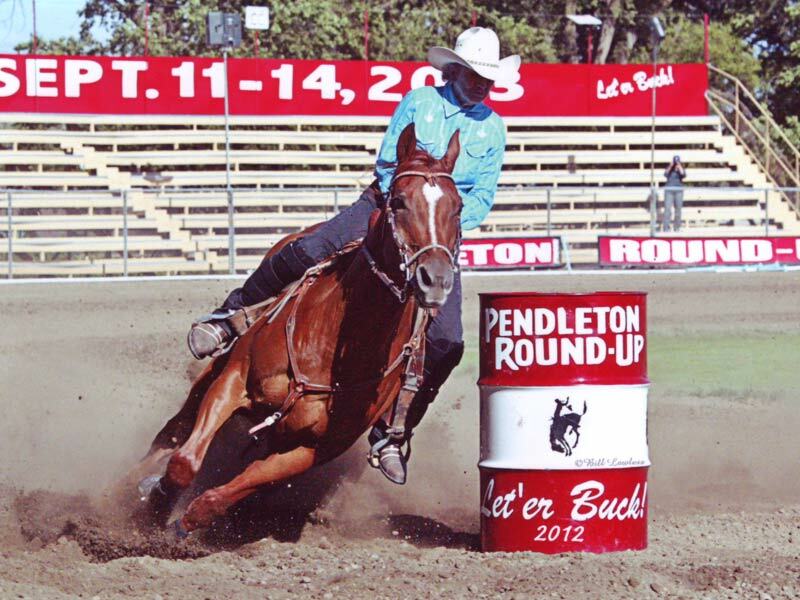 She had natural rate at the barrels, but she also hit another gear when she got in the turns. She could handle any type of ground because of her turning style. Deep ground never phased her. 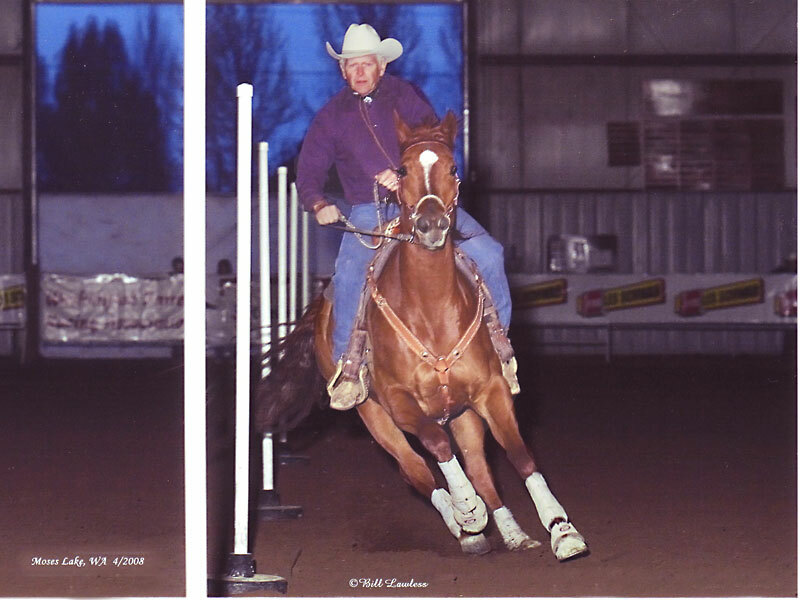 Backfire Bunny's sire, Mr Sonny Bunny, was Dixie Thomas' rodeo horse. We have heard that he was one of the top horses in his day. 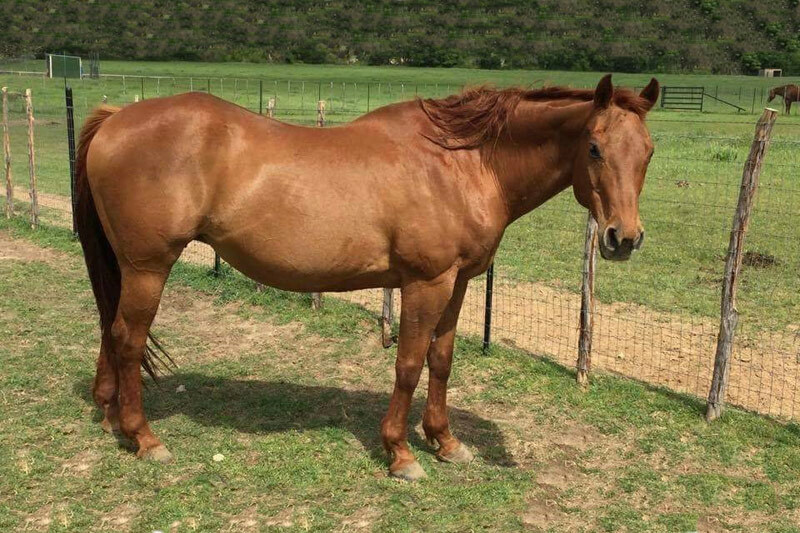 Dixie did well in the WPRA, CPRA ,and IPRA on him. 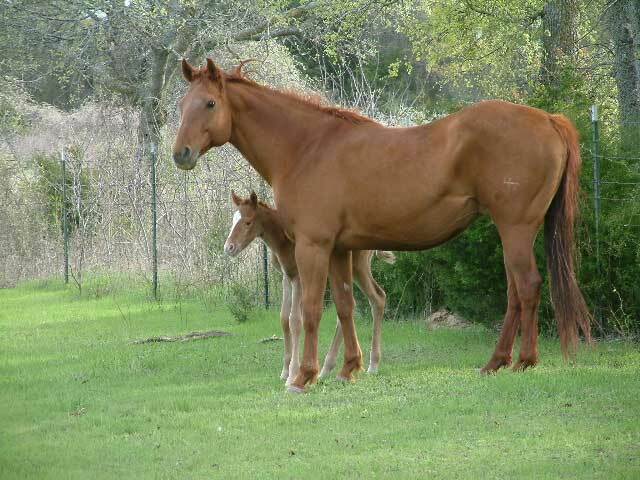 she had 5 amazing foals and lived a life all horses deserve to have.